42' Steel Cruising Yacht - "Cape Jervis 42"
Peter and Helen are ageing computer nerds who have both been in the IT industry for 40 or so years. In 2000, Peter resigned from the University of Melbourne and Helen resigned from SMS M&T. They both do occasional freelance consulting and since resigning from full-time employment have gradually shifted the balance so they now do less work and more sailing. Peter’s first real yacht was an 11’ wooden Heron dinghy he built in the 1960s. He still has Pourquoi Pas and sails her on Albert Park Lake occasionally. 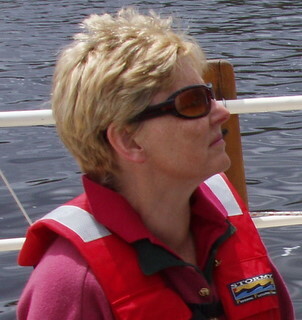 Helen learnt to sail in the family Mirror dinghy, Spiegel. Helen and Peter got together in the 1990s and chartered yachts of various types and sizes for holidays on the Gippsland Lakes, the Whitsundays and the d’Entrecasteaux channel in Tasmania. The first yacht they owned was a 22’ Boomaroo, bought in 2001. Peter and Helen had several happy years sailing Sundance on the Gippsland Lakes whenever they could get away from Melbourne and work. Nahani is Peter’s third yacht, Helen’s second, bought in 2004. 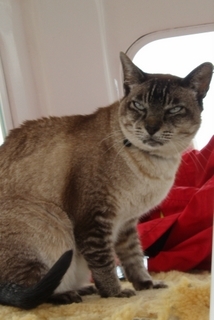 Sake (pronounced as in Japanese rice wine) was a Tonkinese cat (Burmese/Siamese cross), who had never been on a boat until his master and mistress bought Nahani in 2004. He took up sailing at age 14 and sailed waters from Brisbane right round to Port Davey on the West Coast of Tasmania. He loved liveaboard life and generally enjoyed our voyages so long as it wasn't too cold or too rough. 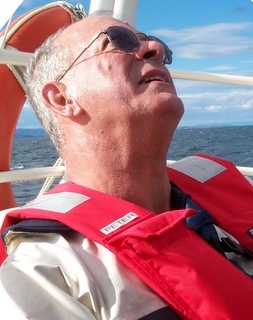 However after eight summers and one winter afloat and at over 20 years of age, he had lost most of his vision, could no longer climb the companionway steps (although he could still get into the bunk with us) and his quality of life eventually deteriorated to the point where we felt we had to bid him farewell on 28 March 2011. We still miss him.